Romeo Durscher is DJI's Director of Education and a passionate pilot and aerial photographer. As a way of further introducing all the new features and upgraded capabilities that our new Phantom 4 brings, we sat down with Romeo to ask him what he sees as the main features of this new product and got helpful tips that assist both new and seasoned pilots to quickly adopt the new intelligent functions into their routine. Follow along as Romeo gives us a closer look at our new, better than ever, Phantom 4! What would you say are the biggest changes to the Phantom 4? Romeo: I think there are five main changes to the Phantom 4. 1. The entire platform looks aerodynamically improved and has a slightly more aggressive feel to it. The glossy finish makes this Phantom be the luxury model, giving it a very classy and sporty appeal. 2. It's smarter, with front facing sensors and improved tracking capabilities. I'll talk a bit more about these later. 3. I noticed immediately how much more stable the Phantom 4 is compared to the Phantom 3 series. There are several reasons but probably one of the most noticeable one is the improved hovering capabilities, especially up to 10m above ground. 4. 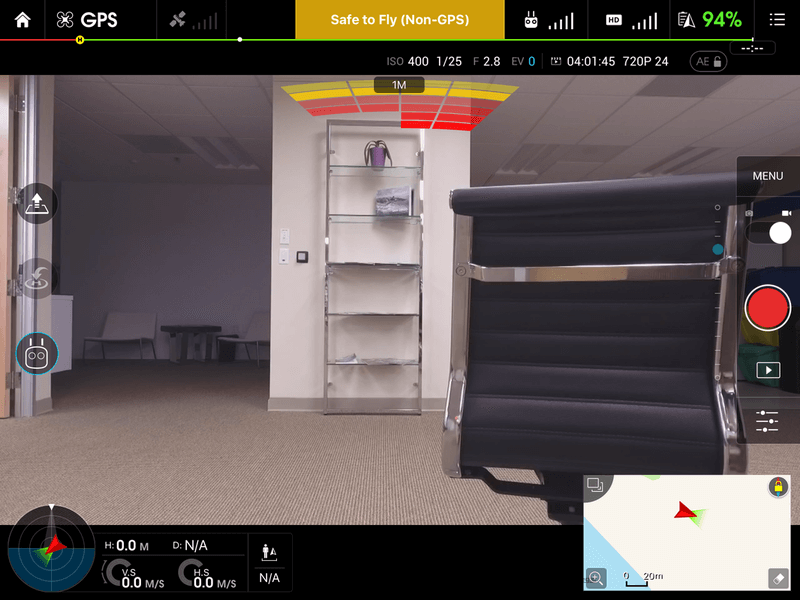 It can detect solid and somewhat sizable objects and starts making decisions, such as stopping flight and not letting the operator fly closer than a couple of meters to the objects. 5. It's fast. Sport mode is one of the funnest new features of the Phantom 4. By switching into S (Sport Mode) on the left front of the radio (used to be P-F-A and now is P-S-A), you are putting the Phantom in the fast mode. 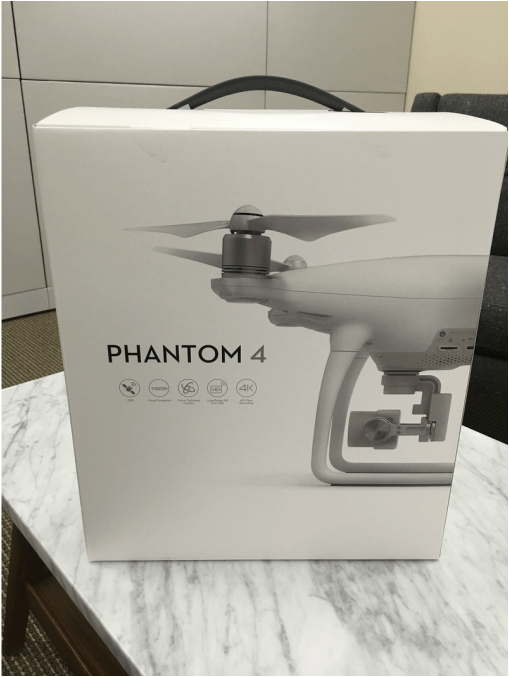 What did you think of the Phantom 4 packaging? Romeo: What stands out immediately - the box is smaller than the box with the Phantom 3 in it. Very cool. It's almost difficult to imagine that inside that small box is an incredible fun flying machine. Once you opened the outer box and pulled out the gray "box" inside, you realize that this is actually a carrying case. It has a handle and a locking mechanism right above the handle. 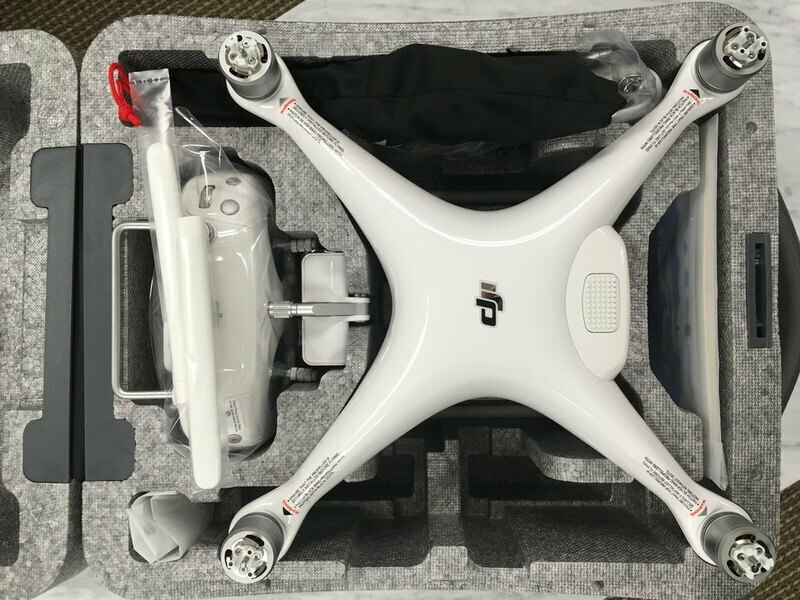 This is a great way of transporting your Phantom 4 from your home to the car, to the flying location. It is perfect for storage and for getting your flying machine from home to your local flying field and back. I personally will still get a proper carrying case or backpack, but that's just me. Could you tell us a bit about the new Intelligent Flight Modes? Romeo: The two new Intelligent Flight Modes introduced with the Phantom 4 are TapFly and ActiveTrack. Te best way of explaining TapFly is by thinking about it as kind of a cable-cam type of function. A few things to keep in mind here. 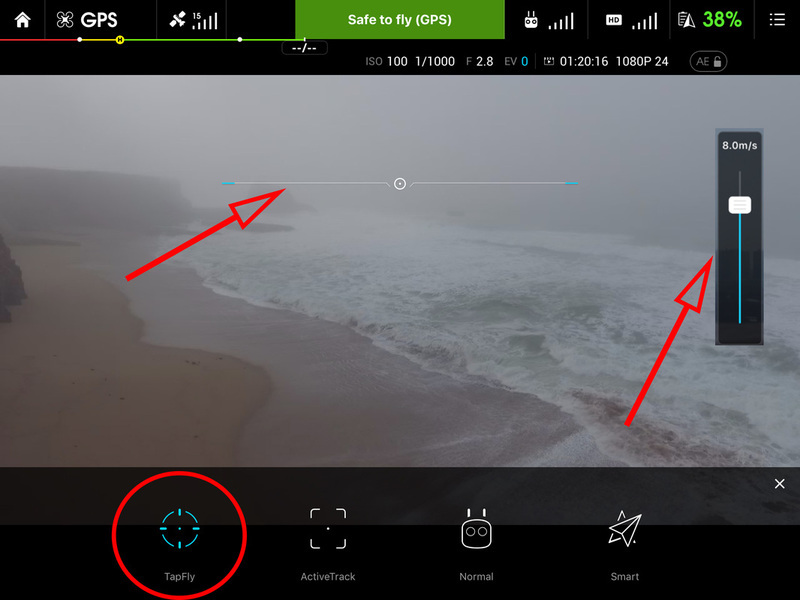 If all the settings in the DJI GO app are selected appropriately, the Obstacle Avoidance will kick in when the platform is approaching an object, such as a wall or a building. 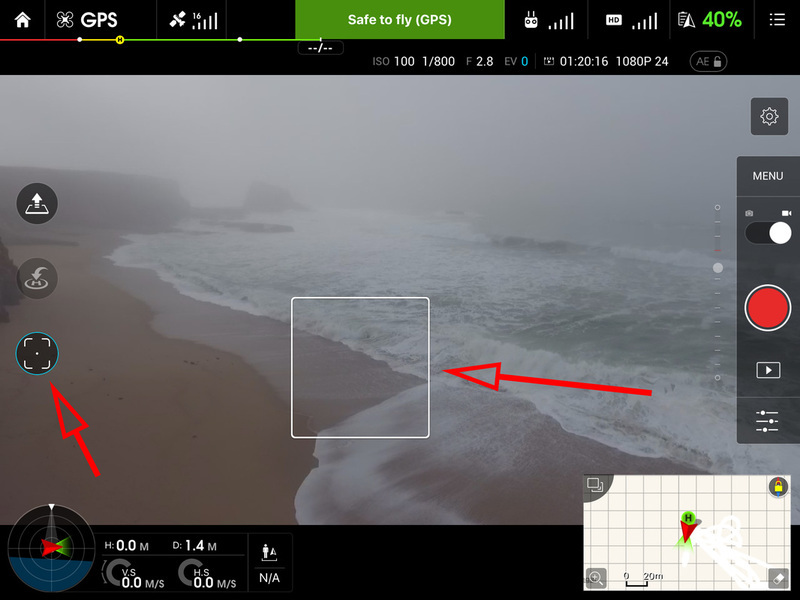 Also, when tapping above the horizon, the Phantom 4 will fly towards that point until it reaches its Max Distance settings in the DJI GO app or you press the Pause button on the radio. Do keep in mind that small branches and phone/power lines will not be detected. Once "Go" is pressed, the Phantom 4 will start with 1m/s velocity, which can be adjusted with the speed bar on the right side. ActiveTrack is the second new mode and is a lot of fun and has some interesting applications. It's similar to Follow Me in many ways, so let me start off by explaining what the difference is between these two. Follow Me uses the radio signal coming from the radio and follows the movement of that device. It's not that precise. ActiveTrack is in essence creating a 3D map of an object and will track that object, trying to keep it in the center of the camera view. It also utilizes the front facing sensor to avoid obstacles. Both Follow Me and ActiveTrack have limitations though. In my opinion it's a great step forward and will open up a lot of interesting opportunities, especially through the SDK! How to use ActiveTrack: Once you are in the menu (to get here press the Radio button on the main screen on the left side) press the ActiveTrack icon. Once you are in the ActiveTrack section, you can start outlining the desired object to track. Simply draw a box around the object, just like the screenshot shows. Also, note that when you are in ActiveTrack or in TapFly, the RC radio icon changes to the icon of the mode you are actually in. So in this case I outlined myself and a green box appears. As you can see it has a little "person" icon on the upper left of the box. The Phantom 4 has recognized the shape as a human through an optimized profile and it will track me now. Below is a short clip of ActiveTrack in action. 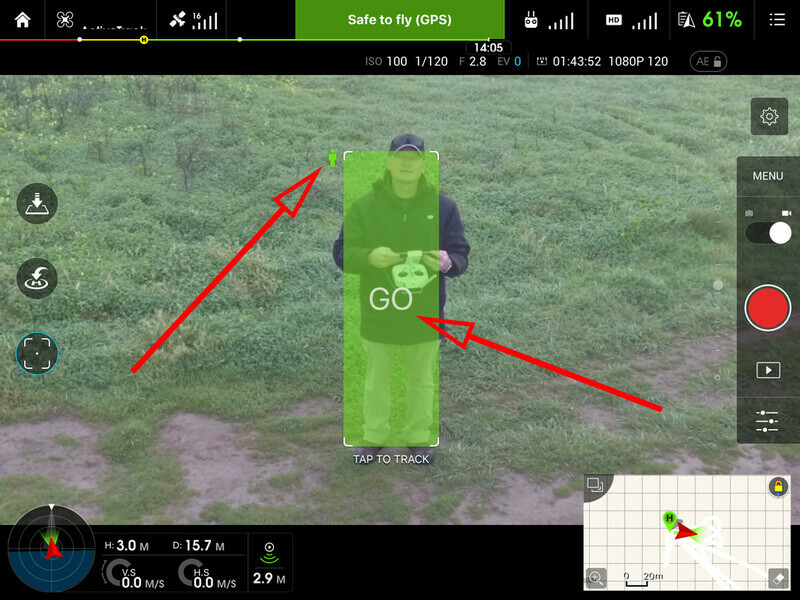 At first I am outlining the object to be tracked (me in this case) on the DJI GO app. Once done and engaged, I put the radio down so you can see that the tracking happens based on the tracking selection. As I move around the Phantom 4 tries to keep me in the center of the shot. During my first pass around the flags the Phantom 4 slightly adjusts its trajectory around the flags. I decided to take a sharper turn and forcing the Phantom 4 to fly straight towards the flags - and it did and stop in its track, just as it is supposed to do. It's now possible to use Point of Interest with ActiveTrack. Can you walk us through this? Romeo: ActiveTrack has one additional really cool feature - doing a Point of Interest around the moving object/subject. It's very simple to execute; while the Phantom 4 is tracking the object, the operator can move the right input stick on the radio to the left or right and the Phantom 4 will start orbiting the moving object. What's your take on the new Optical Sensing features? Romeo: The first time I saw it I had to immediately think of an Audi back-up camera or parking sensing display. That's a good thing! 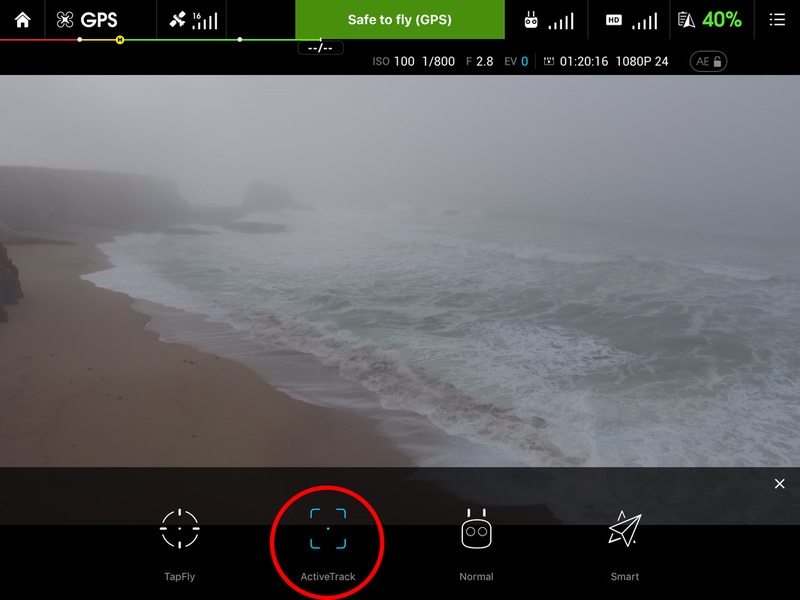 Let me walk you through how it works in the new DJI GO app. If you look closely you see those four segments (horizontally) which go from greenish to yellow, to red. Just looking at this configuration tells the operator that an object is closer on the left side than the right side. It also indicates how far away the object is - in this case 3m or 9 feet. If we look at the full picture we can see how the object actually does change depth. First there is the bookshelf that is closer to the Phantom 4 and is represented by the two red bars on the left. Next to the bookshelf, and slightly behind is the wall and that's marked with the orange bar (3rd segment from the left) and then the wall ends and the table is in the background, which is the yellow (4th segment from the left), indicating that it's further away. Let's see what happens if I push another object into the image. I added this chair and look how the optical sensors have picked up that object on the right and changed the indication from yellow to now full red and indicating that the object is slightly to the right of the field of view. 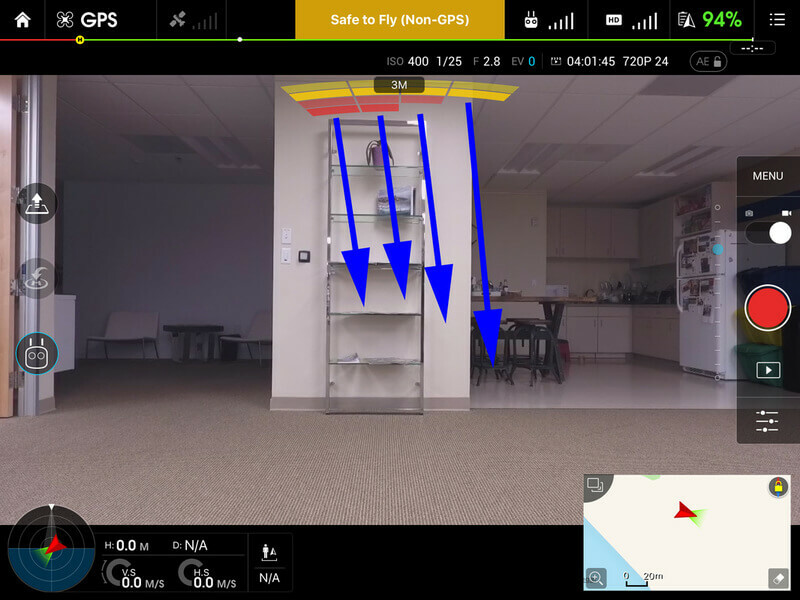 This is a really good example of how the optical sensing capability is being displayed on the DJI GO app. Romeo: One of the funnest new modes for many will be the S for Sport Mode. On your radio (left front) you can switch from P to S and active the Sport Mode. Be careful, the Phantom 4 becomes a little rocket, increasing its speed from 16m/s (approx. 35.7 mph) to 20m/s (approx. 44.7 mph). That's a big increase and I am sure that most operators will be surprised how fast that really is. The Phantom 4 achieves that speed by the craft "tilting" up to a 45 degree angle into the direction of travel. 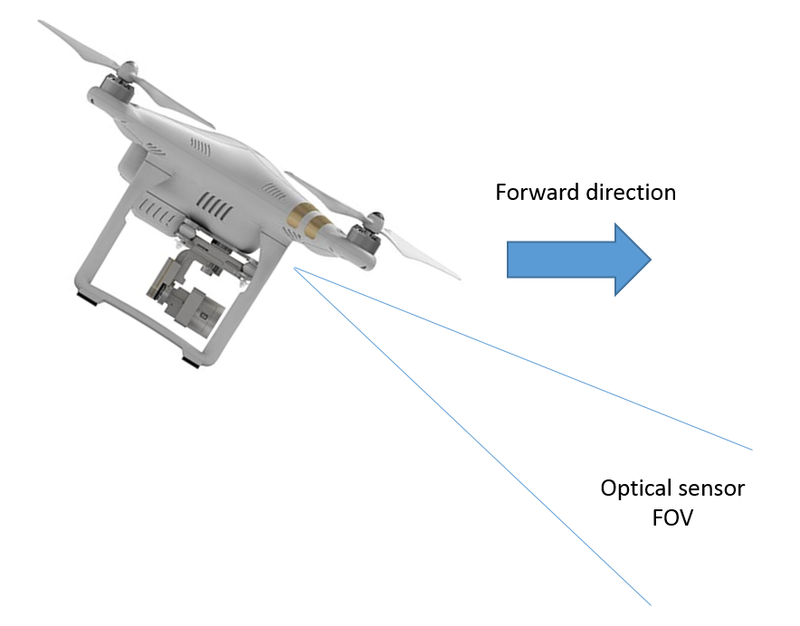 In "Normal" mode the Phantom 4 will not exceed 15 degrees so that the FOV of the optical sensors in the front is utilized. I highly suggest you use this Sport mode in a wide and open field first and get a feel for it. At full speed the sheer fact of physics means that your "breaking distance" will increase. My own tests were in the order of 10-12 meters from the moment of letting go the sticks to stand-still. Fly in an open area only with Sport Mode engaged until you are a solid and comfortable operator. Below is a short fly-away video taken in Sport Mode. The footage was not sped-up or stabilized. This is straight from the micro SD card. Despite the speed and the angle of attack of the Phantom 4, the footage is very stable. What's new about the radio? Romeo: In general the radio is the same except there are a couple of buttons that have a different function assigned. The P-A-F switch now reads P-S-F, whereas S stands for Sport Mode. The Play button now is the Pause button (when flying in autonomous flight modes, this button pauses everything right away). Also, the smart device holder has been upgraded to the Inspire 1 type (metal vs. plastic). In regards to HDMI out; out of the box it will not have it. However, DJI sells an HDMI Out module for the Phantom 3. That one will work on the Phantom 4 AFTER a radio firmware upgrade around the middle of March. Soon there will be an updated HDMI Out Module available, which will work on both the Phantom 4 and also on the Phantom 3. Tell us about the Vision Positioning System! 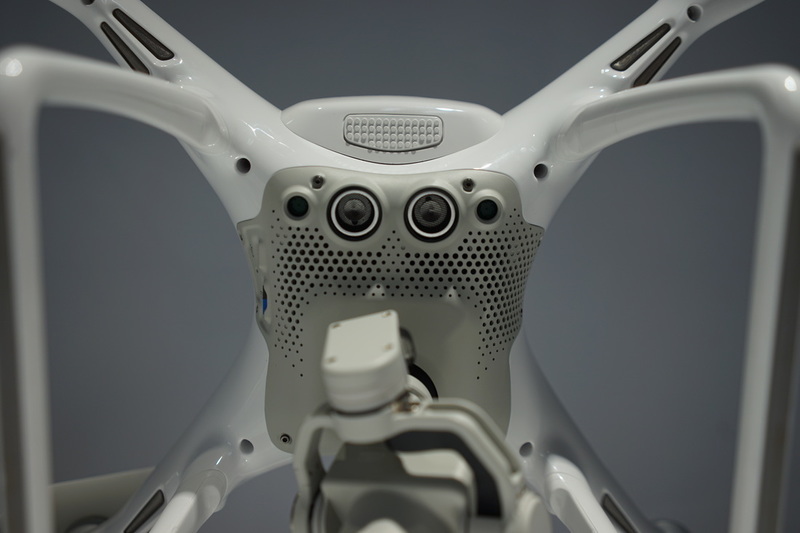 Romeo: If you review the belly of the Phantom 4 you will notice an improved and enhanced Vision Positioning System. There are now four sensors (with the Phantom 3 there were only three (or none with the Phantom 3 Standard). You have two monocular cameras (smaller cameras on the outside) and two sonar sensors. 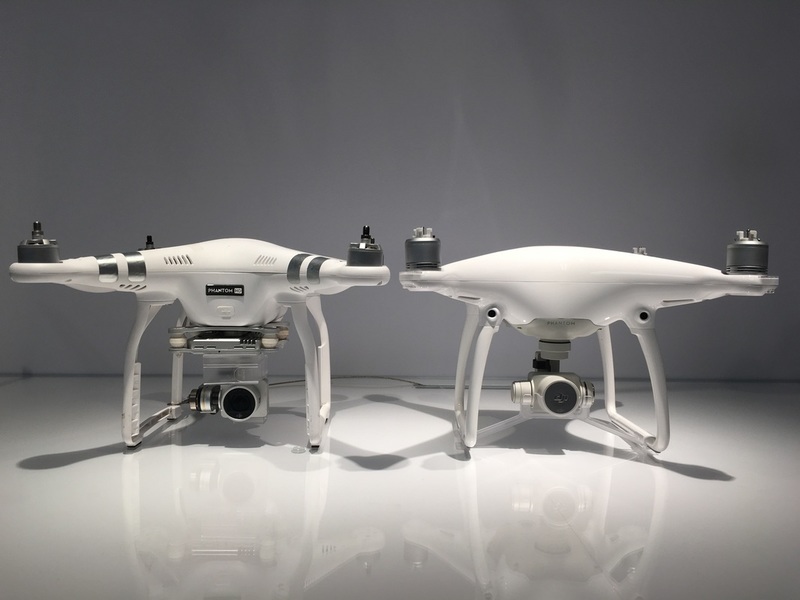 With the use of ultrasonic and image data, the Phantom 4 can identify its current position more accurately and can hover in place more precisely and fly indoors or in other environments where there is no GPS signal available. The Phantom 4 has a new battery, right? 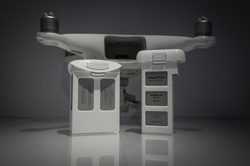 Romeo: Yes, there is a different battery and no, the battery will not work in the Phantom 3 or Phantom 2 platforms. I am expecting some negative comments about that - but let's review this a little. Overall the Phantom 4 is slightly heavier, mostly because of the battery. The battery is shorter, but wider, providing 5350mAh, 15.2V, 81.3Wh. That results in 28 minutes of flight time (side note, I got 31 minutes on one flight). Romeo: The Phantom 4 propellers are push on and lock, which makes it very easy to put on and take off the propellers. There are little silver and black dots helping with figuring out which propeller configuration goes onto which motor. Speaking of motors, the four motors are not recessed as they were on the Phantom 3. That has a couple of benefits - mostly raising the propellers higher up and out of your shot. How does the Phantom 4 handle indoor flight? Romeo: I have flown only a couple of different locations indoors but both times I was really impressed at how stable the Phantom 4 behaved. In both locations I turned off GPS and went into ATTI mode. The VPS (the sensors on the bottom of the Phantom, looking at the ground) performed very solid. What's really nice is that the VPS works up to 10m or 33 feet and really looks onto the ground. You do need a ground pattern. A glass table or shiny floor with no pattern on it will not provide the environment the sensors need to lock on. But when it does, it's very solid. In fact, you can grab the Phantom and move it to a different location; it will go straight back to that previous location and hover. (don't try this at home!). Romeo: Leading up to the announcement of the Phantom 4 there were a lot of speculations and ideas what the camera would be like. Some really wanted a 6k camera, others a removable camera. In my opinion we do not need 6k just yet (besides the fact that small sensor chips for that type of resolution are not yet fully available). A removable camera also doesn't make much sense as there is no other camera/lens available. So, in essence the Phantom 4 has almost the same camera specs as the Phantom 3 with a few upgrades. It's still a F/2.8 with a 94 degrees Field of View (FOV). The glass on the camera has improved and provides a sharper image around the edges and helps fighting chromatic aberrations. We hope Romeo's walkthrough helped you get a deep and thorough understanding of your new creative sidekick. For more on the DJI Phantom 4, visit the official DJI YouTube channel.